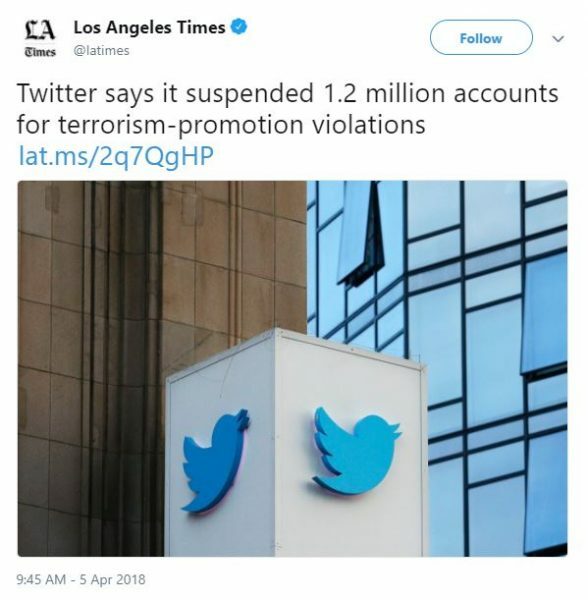 Twitter has suspended 1.21 million accounts from August 2015 to the end of 2017 for “violations related to the promotion of terrorism,” it said last week. “We continue to see the positive, significant impact of years of hard work making our site an undesirable place for those seeking to promote terrorism, resulting in this type of activity increasingly shifting away from Twitter,” Twitter said. 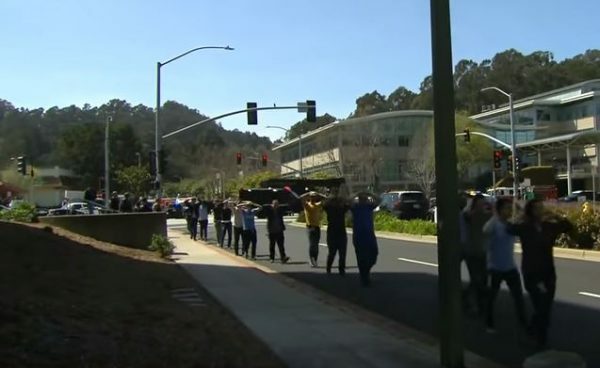 After the recent shooting at YouTube HQ in California, attempts were made to spread false information about the tragedy. With the help of automated technology, Twitter was able to detect the purveyors of the malicious information and suspended “hundreds of accounts for harassing others or purposely manipulating conversations,” said Del Harvey, Twitter’s Trust and Safety vice president, according to Newsweek. 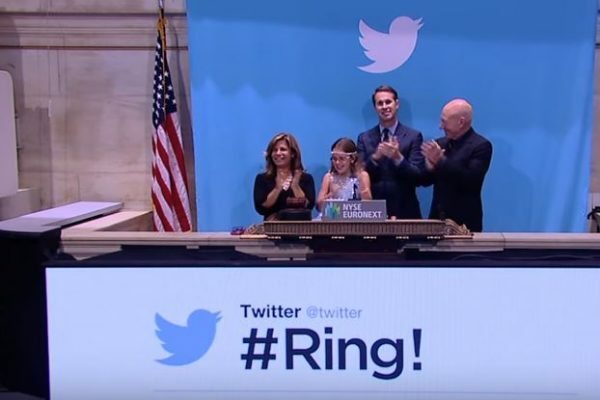 “Immediately following a crisis, we rapidly implement proactive, automated systems to prevent people who had been previously suspended from creating additional accounts to spam or harass others, and to help surface potentially violating tweets,” continued Harvey. Twitter also received criticism about the platform allegedly being used to spread propaganda during the 2016 U.S. Presidential election. Russian staffers from a group that is known as the Internet Research Agency created and then distributed social media content on the platform with the suspected goal of influencing the American electorate. According to a recent report, Twitter has 330 million average monthly users, which makes it smaller than Facebook, which has more than 2 billion users, and Instagram, which has 700 million users.